Bocadero is without any doubt one of the coolest hotspots in Antwerp. 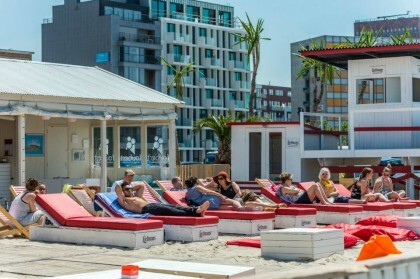 It’s the city’s beach, opened from May to September. You can go to Bocadero to chill out on the sand, watch the ships go by and catch up with your friends while working on your summer tan. 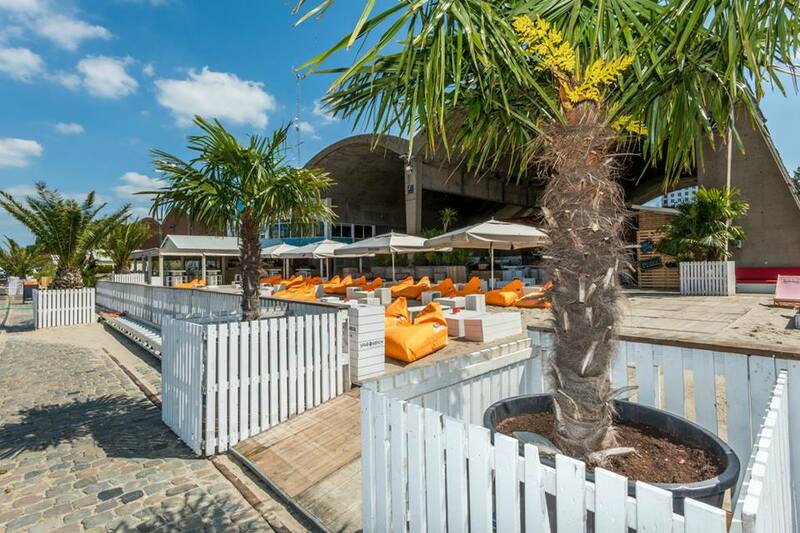 Meanwhile you can enjoy delicious snacks, refreshing drinks and summer-proof cocktails. In the evenings, you can wine and dine in the restaurant while you watch the sun go down – how romantic! Don’t forget to make a reservation beforehand because it can be very busy. After sunset the beach party finally breaks loose at Bocadero. Put on your dancing shoes and shake it out on the finest tunes from the DJ’s until midnight! If you like Latin vibes, you have to go to Bocadero on Tuesday, because that’s traditionally salsa night with music from DJ Pepe. Ola! Due to its big success in summer, Bocadero also has a winter version: the Aspen Bocadero in December and January. It’s a lovely winter wonderland in Antwerp! Think: cosy fireplaces, glühwein and yummie raclette, totally in the atmosphere of mountain huts and ski slopes. What more do you need to beat the winter cold? Follow Bocadero on Facebook so that you don’t miss out on any nice upcoming events! Bocadero is easily accessible by car, with plenty of car parking. The hospitality beach can also be rented for parties and events.